Build your own colourful, slot-together cityscape! 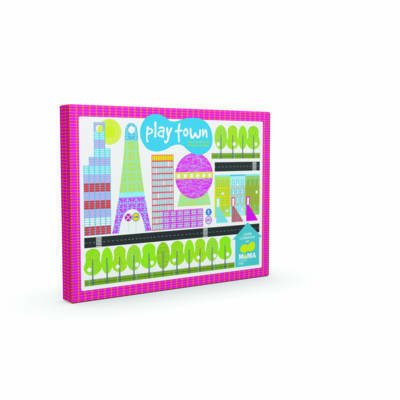 This striking set includes lightly illustrated buildings for you to finish colouring. Whether you bring your own artistic sense to this city or leave it as designed by artist Laura Ljungkvist, it is a gorgeous addition to any nursery, playroom, classroom, or coffee table!